Vacuum Massage and Cupping is a modern adaptation of the ancient Chinese Cupping Therapy. Cupping is a subtle, yet powerful addition to any healthcare practice. Cupping massage is able to improve the state of the capillaries. This technique is also easily used at home for preventing and treating many common conditions such as: cellulite, obesity and nerve damage. It also improves blood and lymph circulation, it can be used to treat wrinkles and dry skin and can be used to help in the removal of dead cells. The silicone cup has a smooth action which helps to increase skin respiration and the condition of muscles. 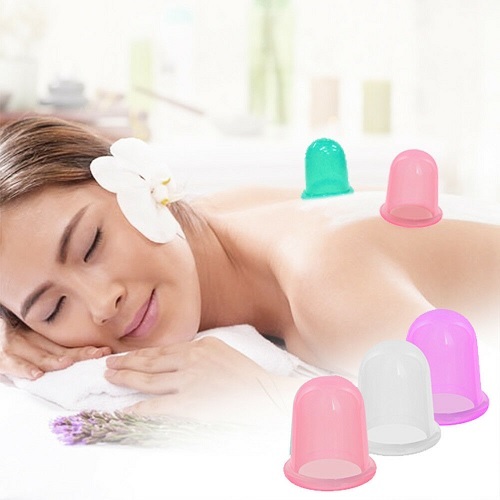 Vacuum cupping massage is one of numerous methods of anti cellulite massage that can be done with the use of massage cupping-glass and any kind of massage oil or cream.